Have you heard of Norwex? Learn to clean--sanitize! !--using only water…saving time, money and the environment! When a traditional cotton cloth is used to wipe your surface, dirt and moisture are pushed around and into the surface crevices, leaving it moist and unclean. 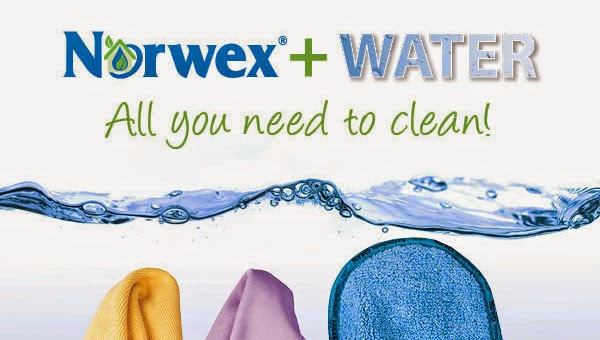 Norwex Microfiber attracts dirt, grease, and moisture, leaving the surface clean and dry. Once these particles are inside the wet cloth, the micro silver in the cloth goes to work with the self purification properties against the mold, fungi and bacterial odor within 24 hours, so it is ready to be use again. All products that have a BackLock label have micro silver it it.